Today was our last day of ministry here in Poland, and it was nothing short of incredible. We spent the morning at 4th high school where we visited with students and played our last games of volleyball and basketball. Our volleyball girls lost by 4 points, but then joined together with the Polish girls to play a pickup match. Our basketball team came away with their third victory! The weather had predicted there would be rain during our concert, but we were praying against it. Just as we began walking towards our concert venue, the rain cleared, and it was evident that the Lord had something in store for our concert. Hundreds and hundreds of people gathered around Tarnow square. We were able to reconnect with the friends we had made earlier in the week as they came to watch us sing once more. Our last concert went above and beyond every expectation we had. 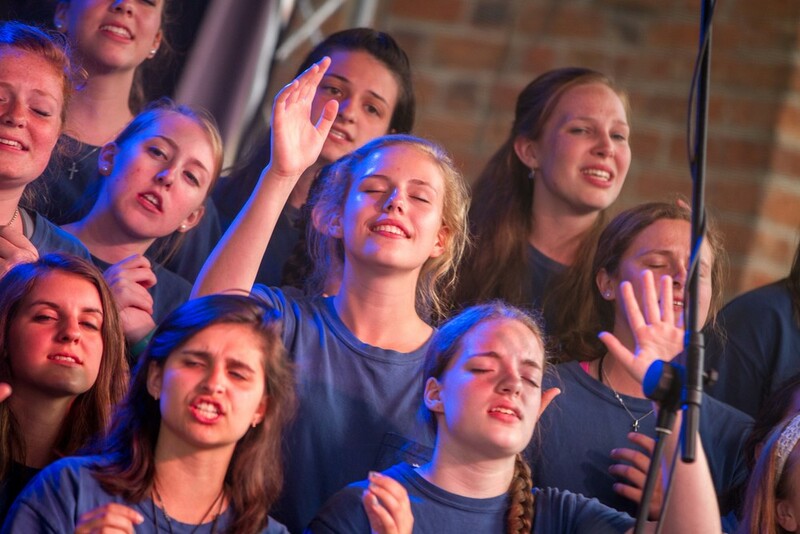 Our students worshiped passionately, and Jesus was made known through it. The Gospel was shared, and kingdom seeds were planted. The Mayor of Tarnow publicly acknowledged that we share the same Christian values and are welcome back anytime— Irek said this is the first time he has ever heard the Mayor acknowledge that sort of unity. After the concert, we continuously heard the people of Tarnow talk about how the city feels different because of our presence. All in all it was amazing night. Thank you for your continued prayers throughout our time here in Poland. Because of your prayers and His sovereignty, we are leaving confident that this nation knows the name of Jesus, and that He is not finished here. Veni Vidi Amavi (I came, I saw, I loved).